The garden…exactly where I want to be right now as I look outside my window and see snow. I would love to have a pretty spot to sit in my garden. It is on the smaller side right now but we have future plans to expand. And then I would love a bench next to a waterfall under a trellis of wisteria. Or a glass greenhouse doubling as a she-shed. A girl can dream, right? I have been thinking about what I am going to plant this spring and hoping that I can find a way to get better yield. I had my soil tested but the results came back fairly good. Not sure what I need but I know that it could be better. One strawberry a day won’t make a pie. Do you have any suggestions of natural things to help fertilize my soil? I was thinking of getting some manure this year. I have also heard that chicken feces helps but we won’t be getting chickens for a year or so I need some ideas until then. I would love to hear what works for you. 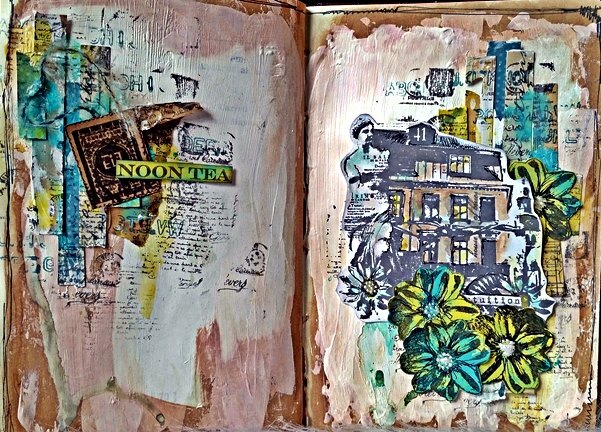 This layout is part of my Splashes of Tea Art Journal which happens to be one of my favorite art journals. Because I am obsessed with tea! Since today is Tea day I am playing along with Elizabeth and I am sharing a picture of my new favorite brew. I received this tea as a Christmas present. If you want something yummy to try you can click on the picture to see it on Amazon. Seriously, it is SO GOOD!! 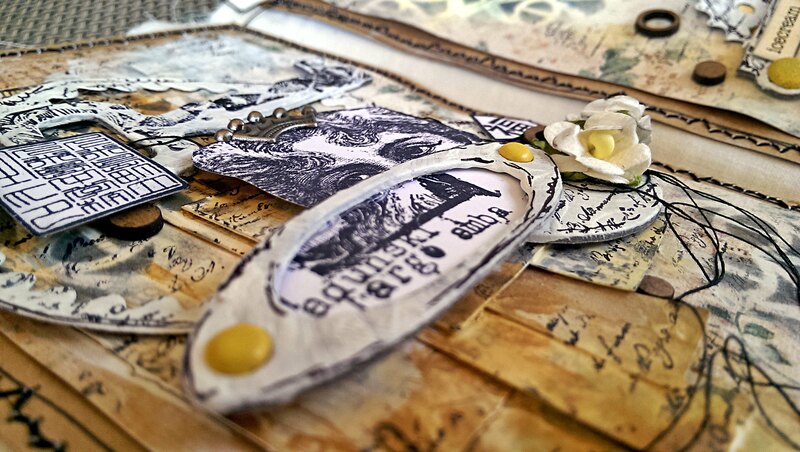 Just a little peek at my post over at the PaperArtsy Blog today. The theme is ripped, torn and burnt. I won’t tell you which one I chose so you will have to go look. I don’t have a lot of time for chit chat today because I have a lot to do. Saturdays’ in December always seem to be busy busy busy. I hope you have a productive day! 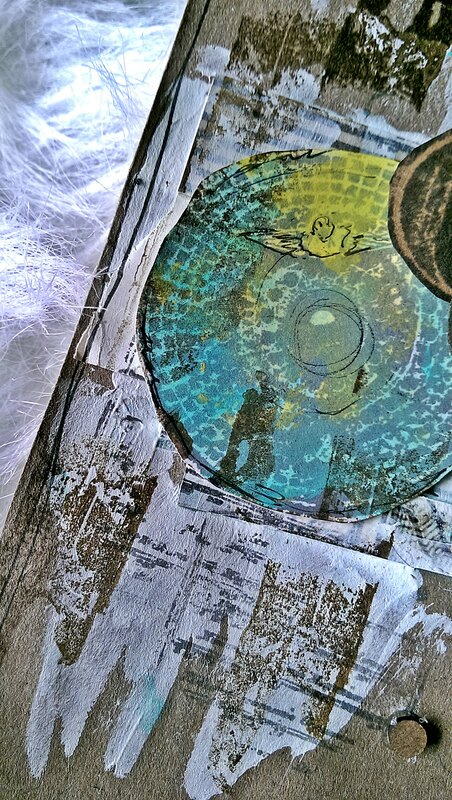 I am over at the PaperArtsy blog today sharing a DIY Christmas gift bag. The holidays are approaching quickly and this project is perfect for those last minute packaging ideas. I love beautiful packaging. I even have a Pinterest board dedicated to DIY Packaging. But then I start to think of the unwrapping process and how all that hard work usually ends up in the trash. Quite disappointing for those of us who make wrapping a gift an artistic expression. The great thing about gift bags is they are reusable. Not to mention that they can be really expensive at the Hallmark store. The kraft bag I used for this project was found at the dollar store. And get this…it came in packs of TWO! 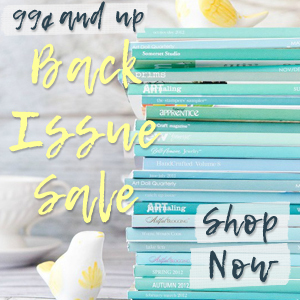 Not only is it unique to you but it also comes saves you a lot of money! 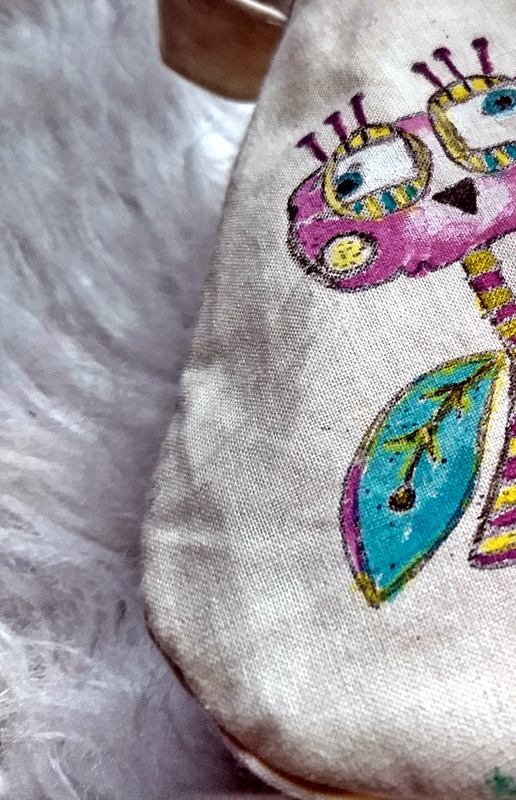 You can see the full Gift Bag HERE! Have you ever seen that TV series ‘Escape to the Country?” It is basically the UK version of HGTV’s House Hunters. I just love the unique homes with their rustic charm, the English country side and the amazing accents. The only thing disappointing about this show is the unrealistic budget that most of these couples have. I mean, crazy high budgets. So, when my hubby and I moved to the country from a busy suburban area it was culture shock. At least for this city girl.We searched the countryside for our little escape a year later after our house sold. My original criteria was: 3-4 bedroom house, master suite, two car garage, a few acres to raise farm animals, a mountain view, and most importantly not in a development. I told our realtor that I didn’t want to have neighbors…haha. We looked for months and couldn’t find anything. We found our little escape a couple months before our daughter was born. While it didn’t meet all my criteria it met all of my husbands, much to his delight. I didn’t get my multiple acres of farmland and a lack of neighbors, but I did get a 3 bedroom house with an amazing master suite, 1 acre surrounded on 3 sides by woods (which hides our neighbors in the summer and gives us a mountain view in the winter), huge windows that let the light in and a porch that goes from the front of the house to the back. Sometimes we feel as though we are at a vacation house in the mountains and I am so thankful that I get to live in my vacation house all year round. So, this was a bit of the inspiration behind this page. 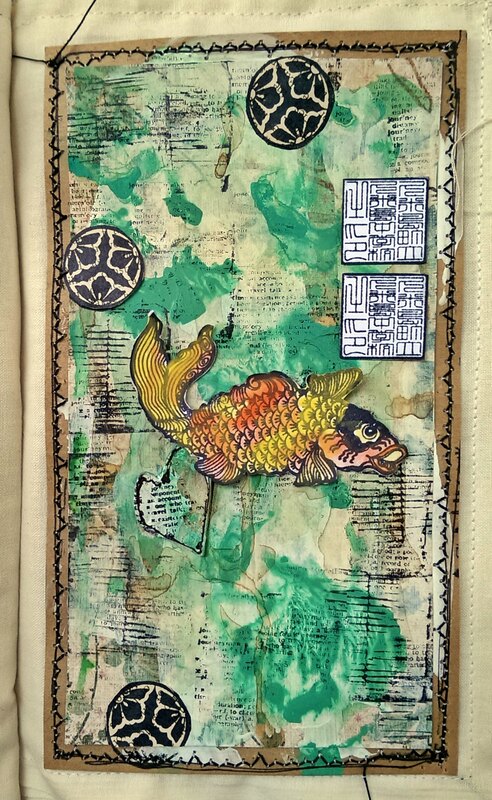 Here is the very last layout in my Asiatic Dynasty Fabric Art Journal. (sad face) I had so much fun creating this little book but because I never do anything without the bulk, I had to limit the amount of pages. 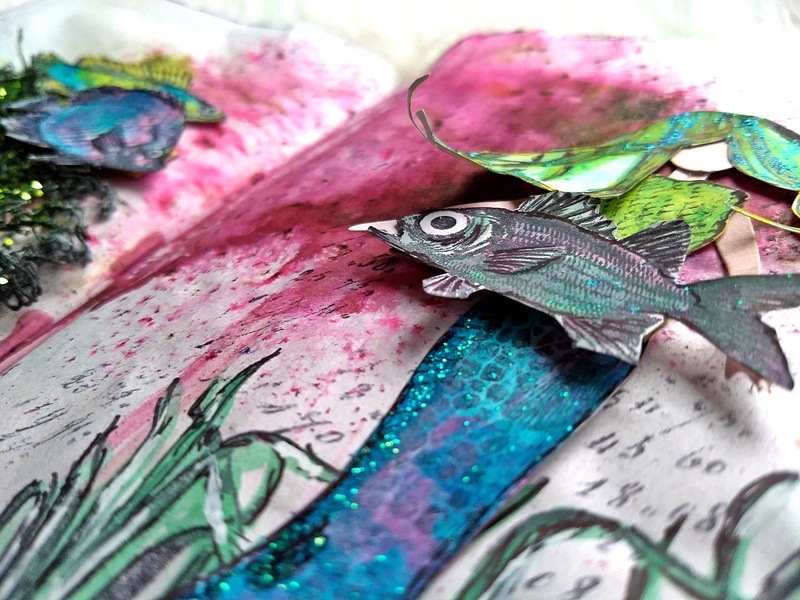 Maybe I should be calling this book the Big Fat Fabric Journal instead. 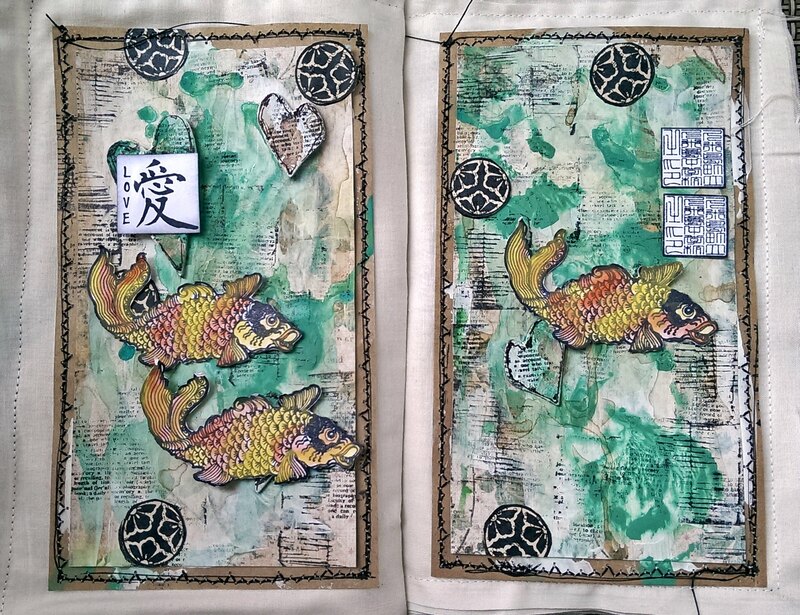 My page is kraft paper sewn onto a fabric base. I used a fancy stitch on my quilting machine. I like fancy better than a plain straight stitch. 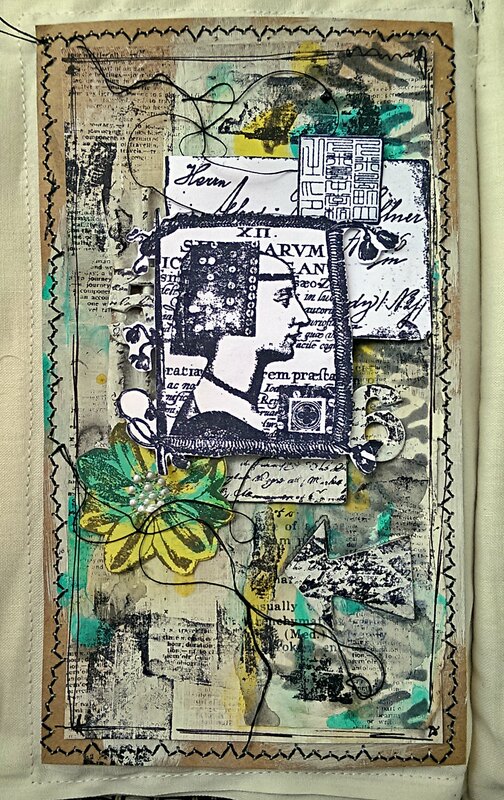 There is a Stencil Girl Stencil in the background, several die cuts, chipboard and Lynne Perrella stamps from PaperArtsy. I combined some of her other collections along with her Asian collection for this page. First off, I want to thank everyone who took the time to write encouraging words on my last post. I am still feeling a bit apprehensive about returning to work but I know that I am not alone and am trying to look at it as a exciting new adventure in my life! I guess that calls for a celebration of ice cream/foyo when I make it through my first day. Can I hear it for Frozen Yogurt?! I don’t know if the froyo craze has made it to your hometown but it sure has where we live. Our little town recently welcomed Sweet Frog with open arms. I love that you can fill your own cup, pick you own flavors, toppings and that they charge by weight. In fact, a few weeks ago we all celebrated the end of summer with frozen yogurt. When we got to the checkout counter we all put our cups on the scale. I pulled out my $10 dollar bill and the girl tells me the total for 4 cups of frozen yogurt comes to…$18. Ummm, what? Apparently, my youngest son decided to go overboard and loaded up his cup with lots of yogurt and yummy, heavy toppings. The total for his cup alone was $7. Needless to say, he will have careful supervision at the yogurt machines from now on. Are you a Frozen yogurt or a ice cream person? 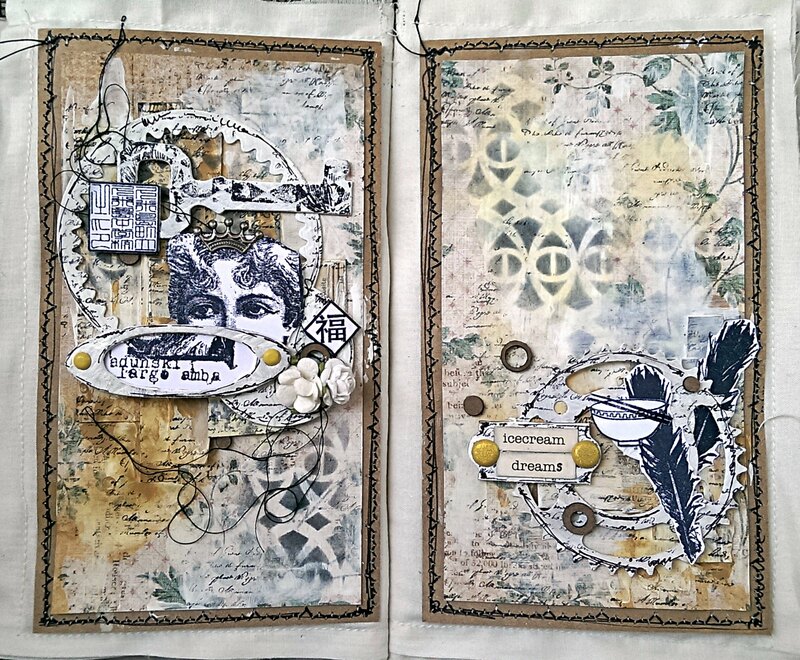 My inspiration for this journal layout was a European woman traveling to Asia. I added the adorable bowl and chopsticks and thought about titling the page ‘Rice Dreams’ but I didn’t have stickers to fit that title so I went with Ice Cream dreams instead. 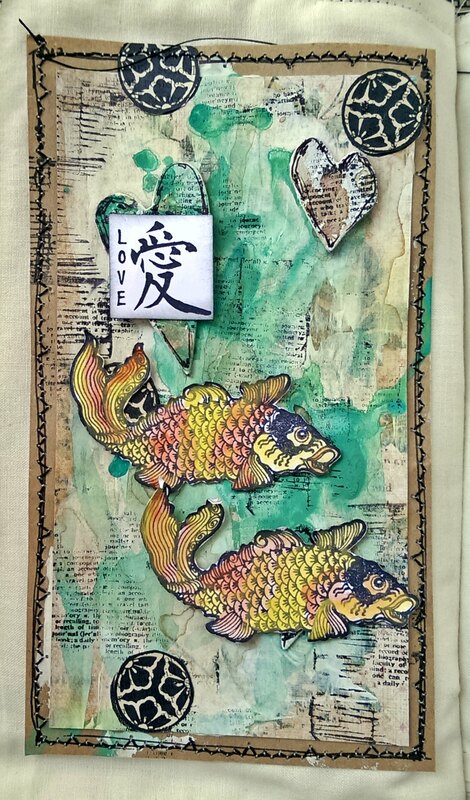 My background is kraft paper sewn to a fabric page base. 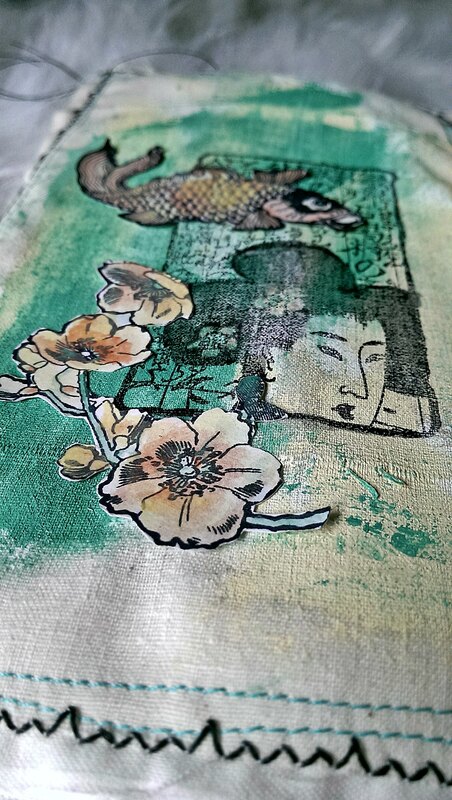 I applied gesso, Fresco Finish paints and used my favorite Stencil Girl stencil. 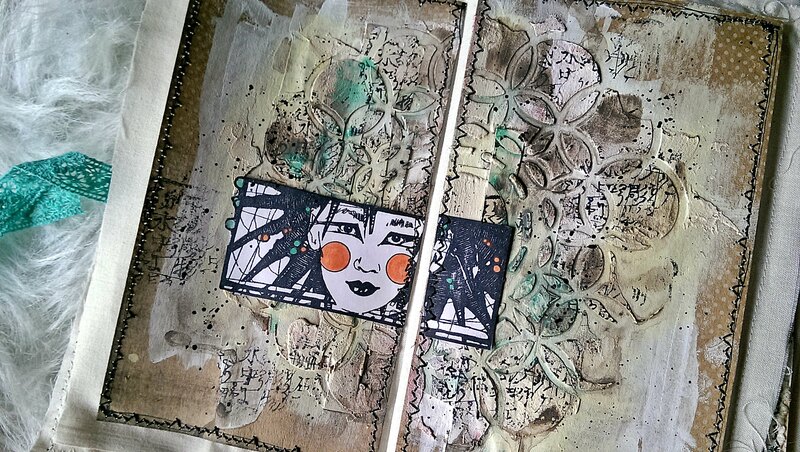 The background embellishments are painted with gesso and I doodled with a black pen. 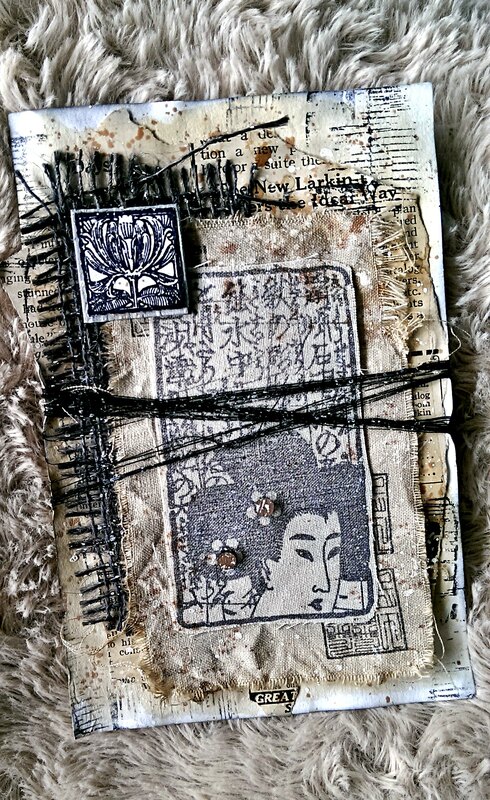 Most of my stamps are Lynne Perrella’s by PaperArtsy and some of the Asian Stamps are by Hero Arts. I think that pretty well sums it up. Thank you for stopping! And let me know if you prefer ice cream or froyo. And of course…let me know your favorite flavors and toppings. Wow! Life has been crazy with the start of school this week. My two oldest boys started on Monday and I am home with my 18 month daughter. For now. Since my hubby’s job is on the rocks I have decided to go job searching. I was a Registered Nurse…once upon a time. Ok, it has only been 3 years but it seems like ages ago. When we moved states for my husbands job I didn’t bother getting a job right away. And than we had a baby. Now that I am staring it in the face, I am hesitant, unsure of my medical skills and lamenting my future lack of time for leisurely activities. (Otherwise, known as crafting) I knew I would go back to work someday I was just hoping that day wouldn’t come. I have even entertained the idea of having a home business, but haven’t come up with anything tangible to sell. Perhaps, it all stems from the thought that once I go back to work my babies won’t need me anymore and I am done mothering little ones. Letting go of that baby stage has been so hard for me. There is something unforgettable about smelling and caressing the soft skin of a brand new human. Holding a helpless miniature person that reeks of perfection makes my mommy senses go haywire. In the moment, I would choose to do it all over again even though I just barely made it through labor. For me, getting a ‘real’ job symbolizes a new phase of life that I am unsure I am ready for. My time with the little’s has gone by in a haze. But a purple haze of course because that is my favorite color. 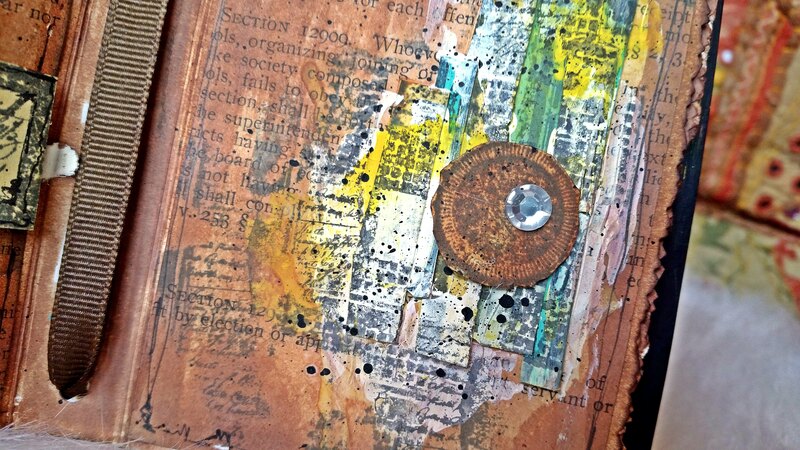 And one of the colors on my art journal page. 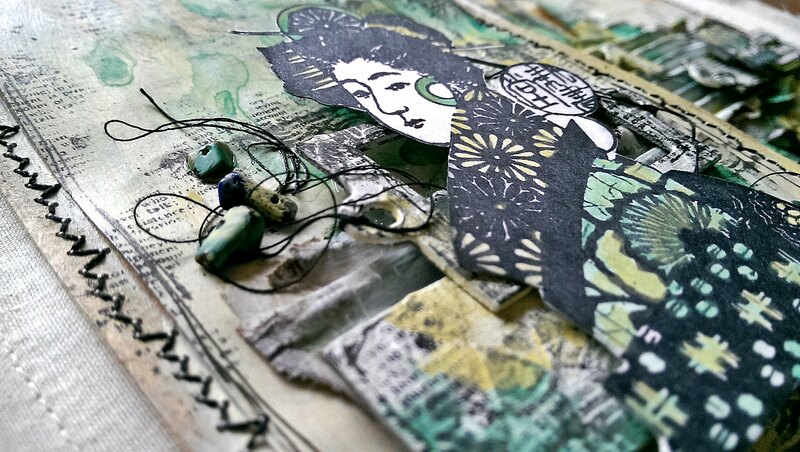 Here is another layout in my ‘Asiatic Dynasty’ Fabric Journal. 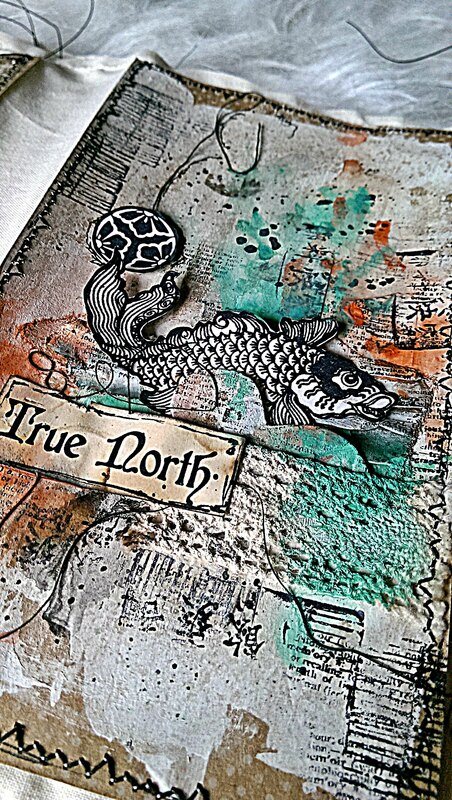 You can see the other pages in my Asiatic Dynasty Journal here: Cover, Swimming Through Algae, It’s All about the Hair, and True North. 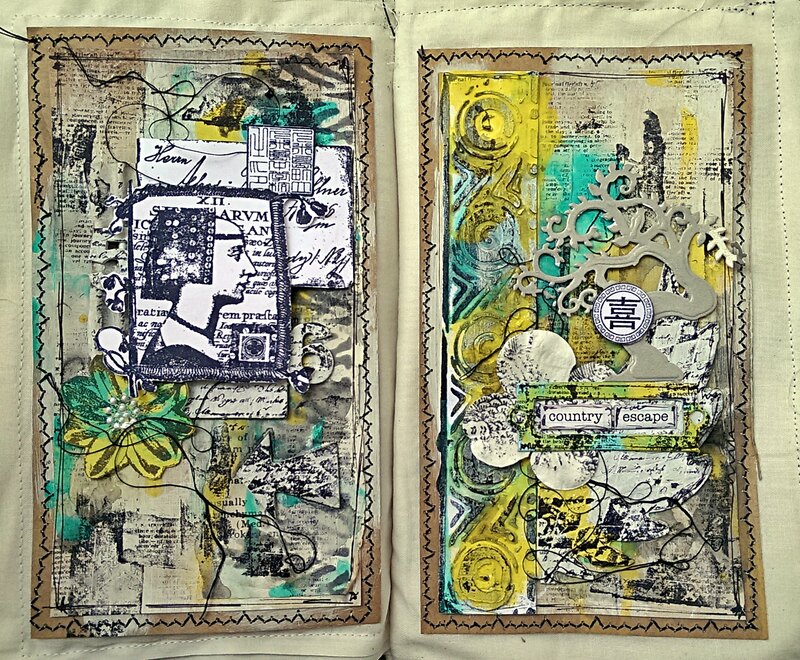 Again, Lynne Perrella’s Asian collection by PaperArtsy was the focal point throughout this journal. 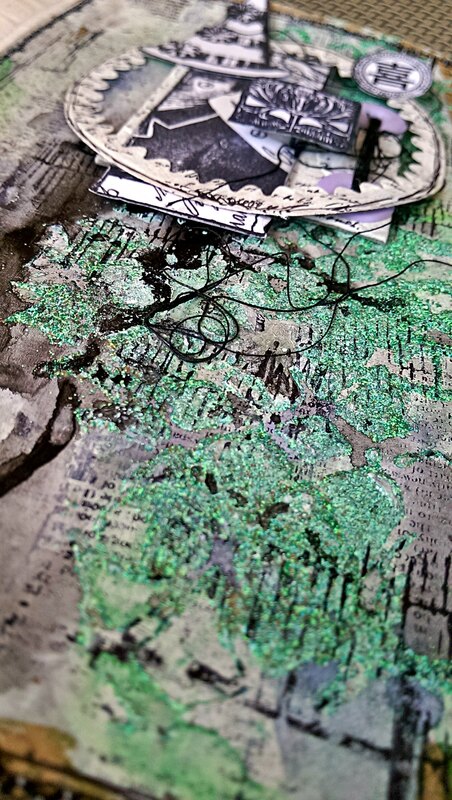 I used stamps,sprays and a stencil with green embossing powder in the background. 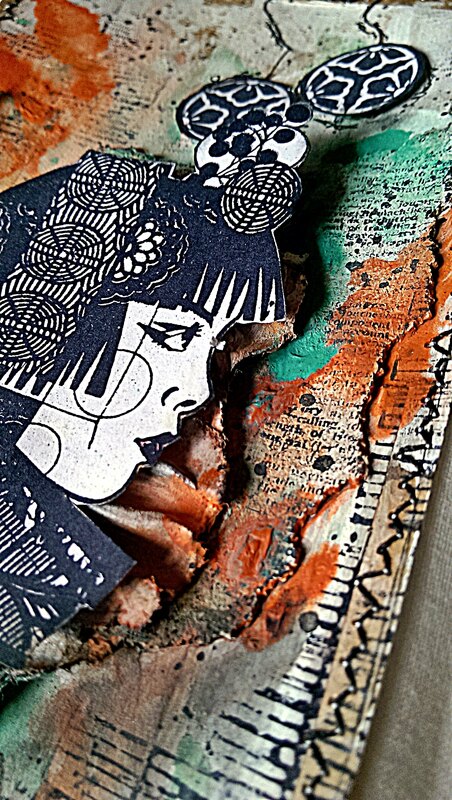 I used a few die cuts and chipboard pieces to add dimension. 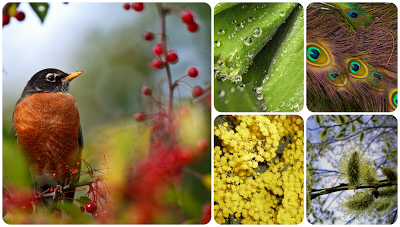 Thank your for taking the time to visit my blog today. I would love to hear your thoughts on overcoming jitters when it comes to moving past your favorite phase of child rearing or job searching. Speaking of the neutral zone, my hubby and I watched the newest Star Trek ‘Beyond’ movie. If you haven’t seen Star Trek than you probably have no idea how ‘Neutral’ fits into this paragraph. But that’s alright because I am not going to dwell on Star Trek but on the ‘movies’. So, what do your think? Team Movies, Team Couch or Team Neutral? Ok, onto the neutral index card. I pulled out my pack of index cards to create a portfolio card recently and decided to try out index card art. I have been seeing a lot of the ICAD’s which seems to be the new craze. 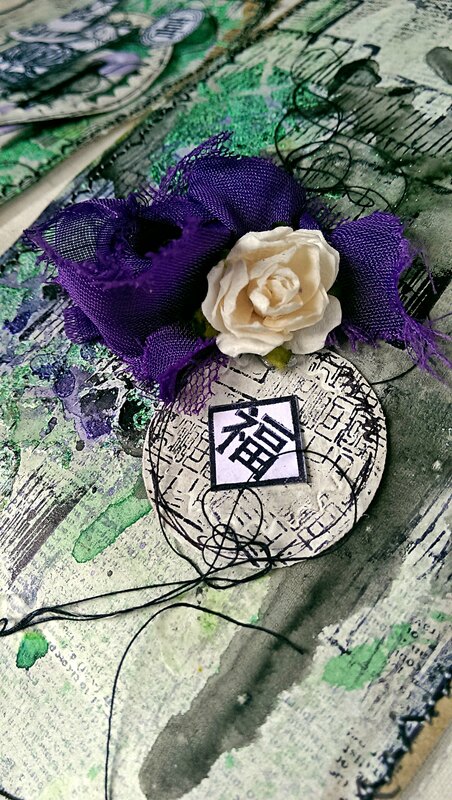 While I don’t have time to craft every day (gasp), I have been trying to make more time in my schedule than before. Let me just say that index cards used to be cards. Now they are thin, flabby pieces of paper being passed off as cards. So disappointing! Because of this, I had to add bulk to provide more support. 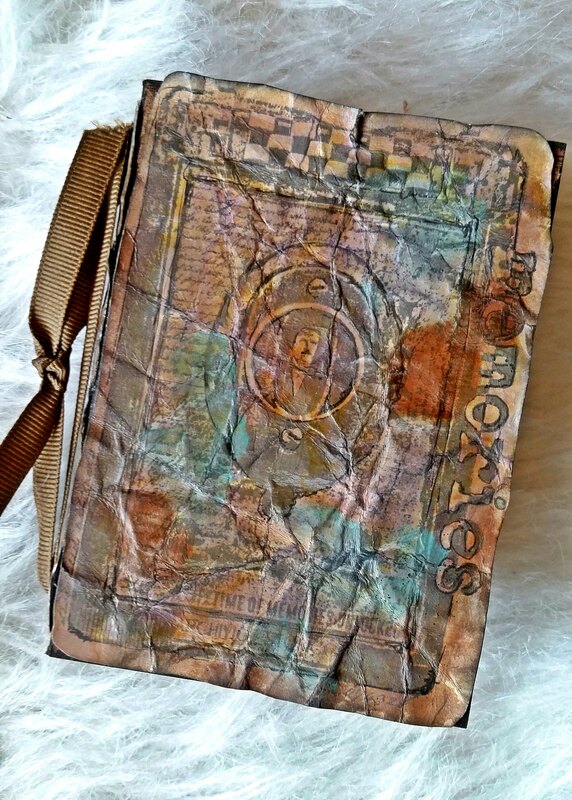 I added a piece of vintage paper, followed burlap trim, coffee stained muslin and another layer of stamped muslin. 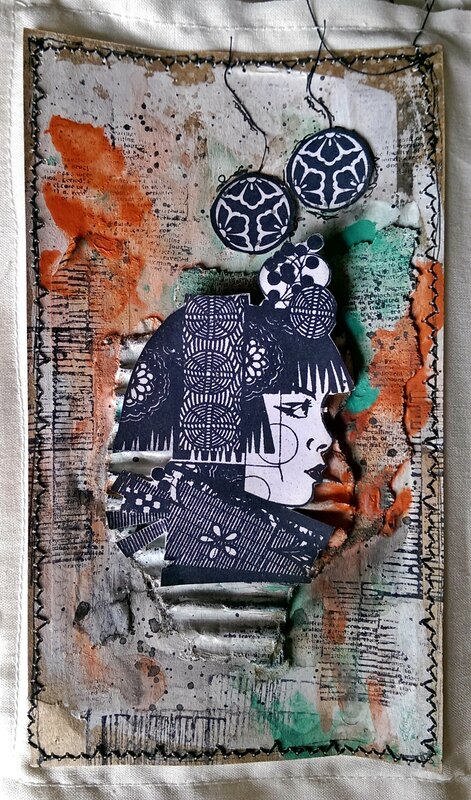 I cut a chipboard tile and stamped it with and Asian lotus, wound black thread around the card, affixed a few UmWow chipboard circles and splattered the finished piece with gesso and coffee. I am usually all about color but I thought I would try something different for this piece. Are there any great TV series or movies that you have watched recently? I need more suggestions. Lately, our lives have been chaotic and I feel as though we are swimming through algae. Tangled up and not going anywhere. That is, anywhere that we can see. We just remodeled a bathroom downstairs. My hubby installed the toilet Saturday evening and then Sunday morning the downstairs stunk of pee. Looks like we need a extra thick wax seal around the toilet. And then Saturday evening I found wet carpet downstairs followed by the discovery of water damage and mold growth in my crafting area! On the bright side I get a whole new crafting space but that is only after we discover where the water is coming from and then my craft spot will be out of commission for possibly months. And my littlest man has a ear infection despite an Ear Tube placement back in February. My hubby is still looking for a job (he gets laid off in December) and I am now a weekly visitor at the chiropractor’s office. I left a few things out but you get the general idea. I am so thankful to God that these trial and testing periods don’t last forever. That by no means diminishes the fact that it is very difficult while going through these periods but it is encouraging to know that it is only for a season. Some seasons seem longer than others don’t they? Despite these bumps in the road, I am blessed to be going through this with the people I love and a God who cares about me. But I am not going to lie, I am ready to get through the algae fields and into the clean, open waters of security again. 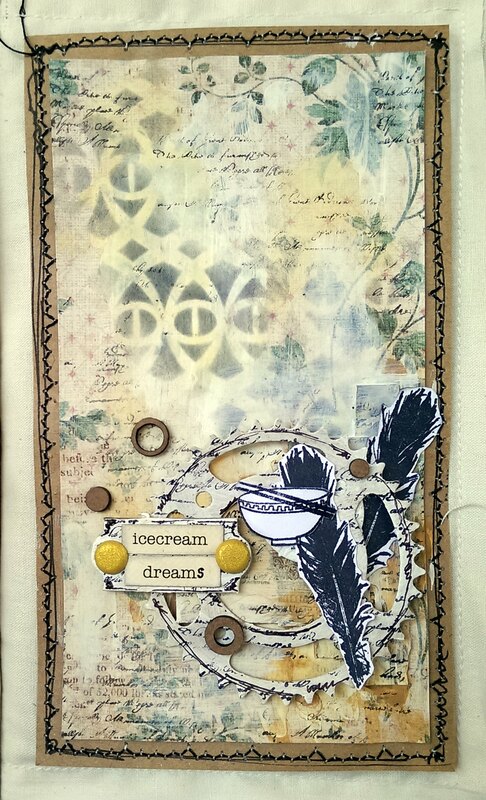 So, onto the journal page. 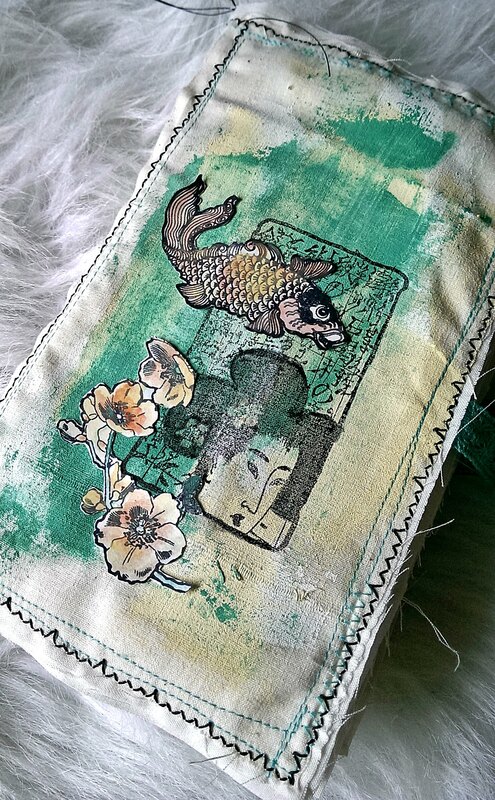 I have another page in my ‘Asiatic Dynasty‘ Fabric Art Journal to share. In case you missed them you can check out my Cover, It’s All In the Hair Layout, and True North Layout. This was my last layout to be completed. 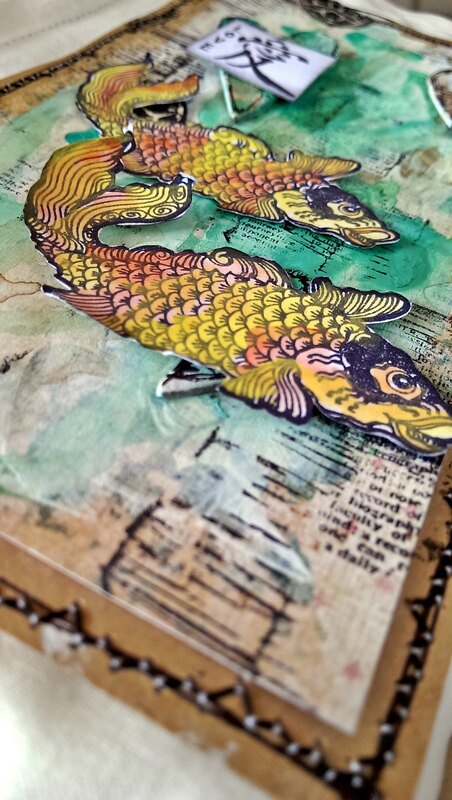 I finished the background but when I went to embellish with stamps and such I couldn’t find anything I liked. 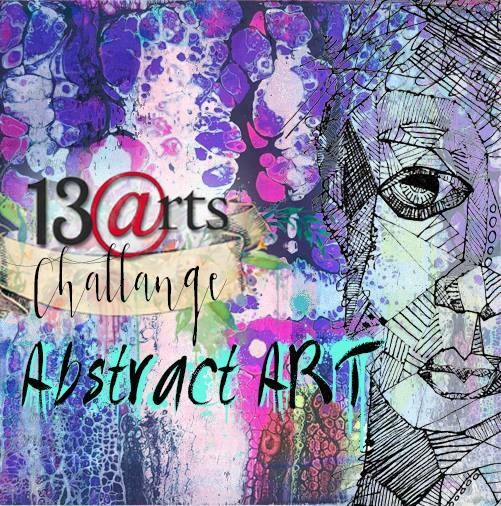 I worked on it on several different occasions and each time I came away disappointed. I figured the problem was the background so I tweaked a few things and WA LA…it came together. I love when that happens! 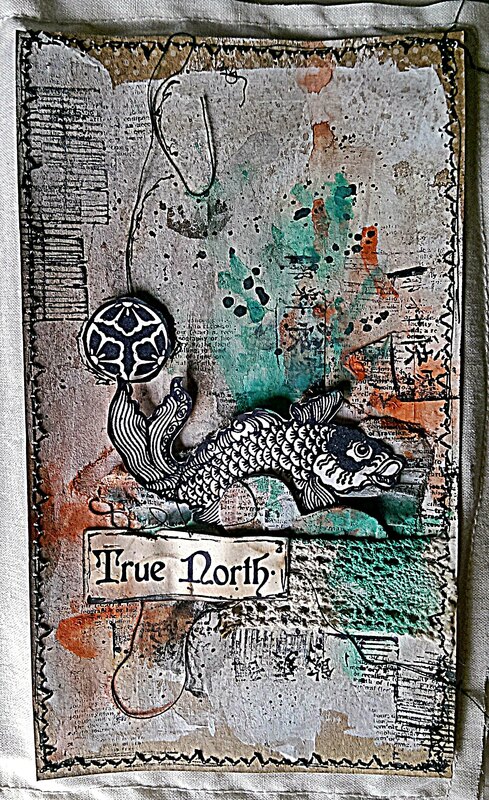 I used a lot of PaperArtsy stamps and paints. 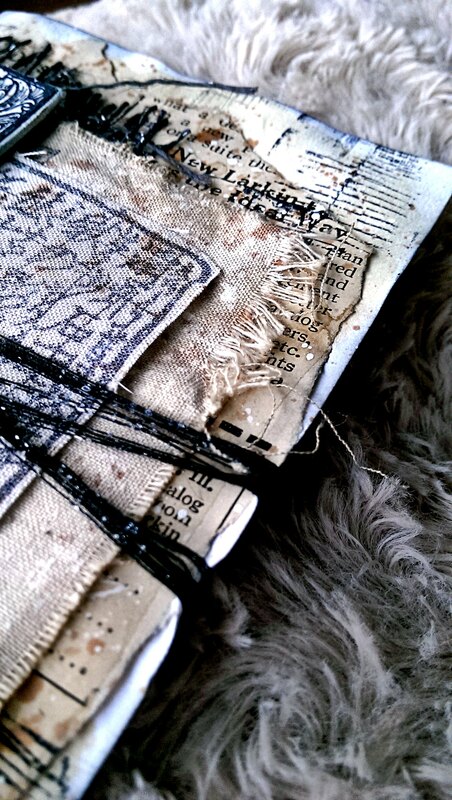 The journal page was made first and then machine stitched to a fabric base. What do you do with failed projects/attempts? 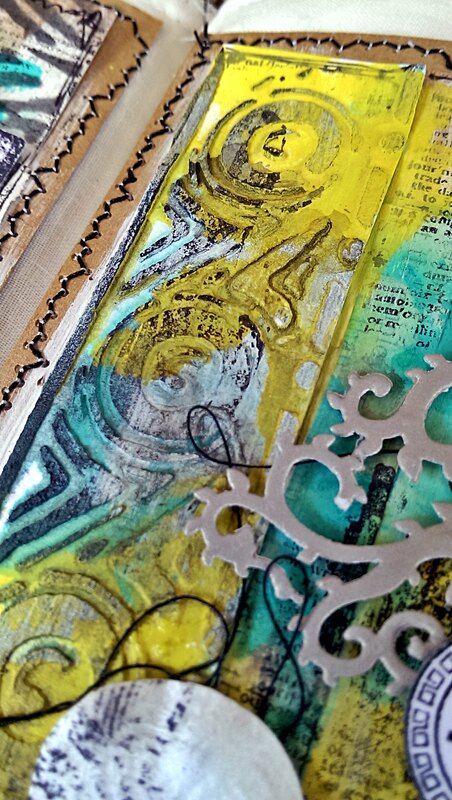 While looking at the stamped image on my journal page, I was reminded of Hair. This Asian girl has fabulous, silky spiked hair. My hair is anything but fabulous. When that humidity hits, my hair looks like someone held a balloon to my head and rubbed all the ‘fly-aways.’ By ‘fly-aways I mean those short, 1 inch pieces that won’t stay down despite using every hair product available with the exception of Krazy Glue. I know it is probably a girl- thing or maybe just a me- thing but I sit in church and look at the backs of peoples heads and wonder how their hair looks so smooth and frizz-less at 9:30 on a Sunday morning in the heat of summer. To be honest, I am lazy when it comes to hair care. I hate wasting precious time on hair. I would rather be reading, crafting or eating…none of which I can do while washing, blow drying or curling my hair. And to top it off I wash my hair only twice a week! I have considered trying the ‘No Poo’ method to limit my chemicals use and to save time and money. Have any of you every tried this? What is your hair-care routine? 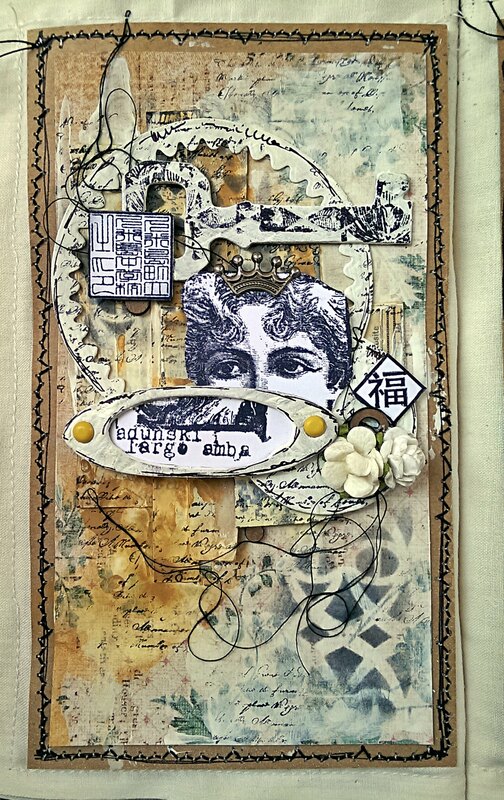 This layout is part of my new Fabric Art Journal entitled, “Asiatic Dynasty” featuring Lynne Perrella’s Asian stamp collection from PaperArtsy. 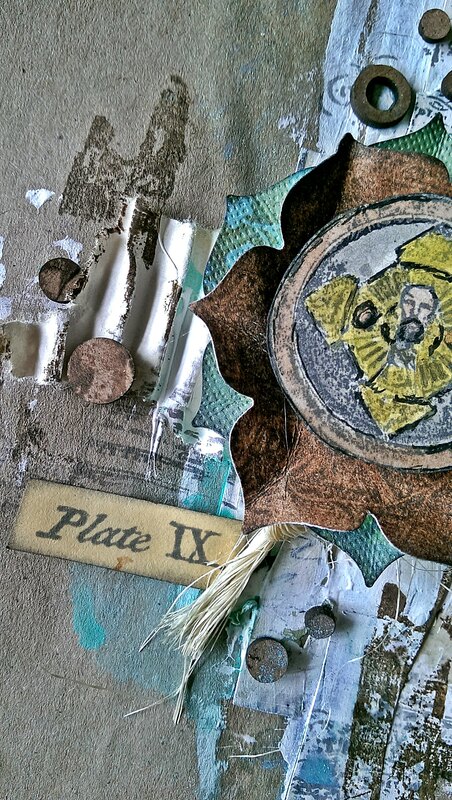 You can see the cover, my first layout and read about the inspiration behind the project HERE. You can view my second layout HERE. In the previous posts I talk a little more about how I made the pages but for the basics I used Kraft paper as my base. 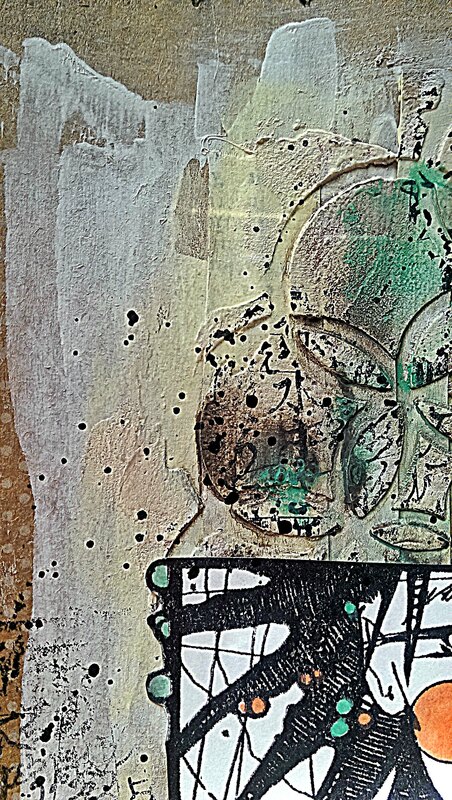 I then added my gesso, paints, stenciling, embellishments and stamping. 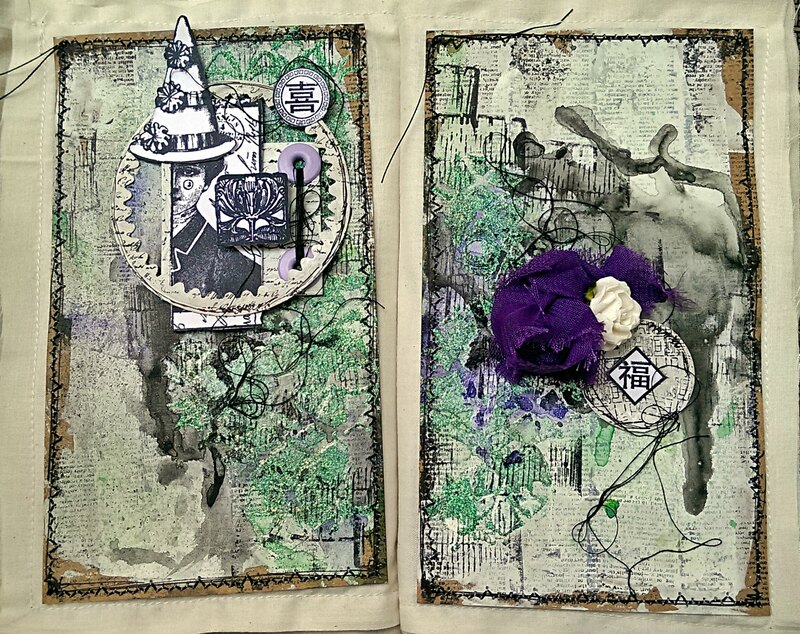 Lastly, my page was stitched onto a fabric page and added to my fabric Journal. Fun and easy! 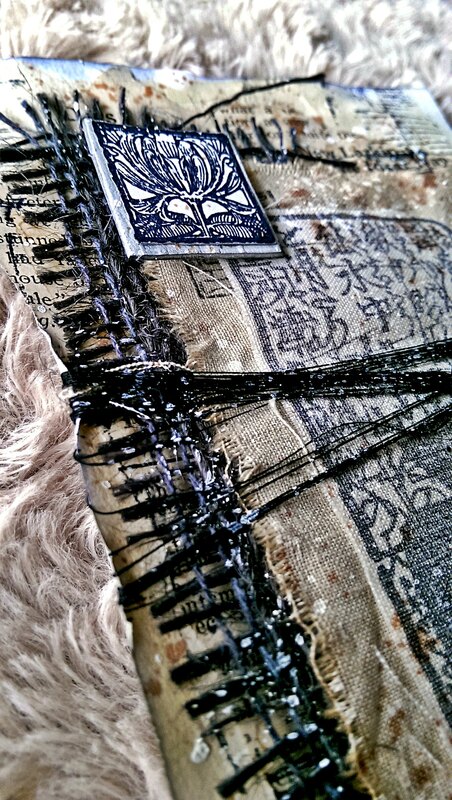 Have you ever attempted a fabric book/Journal? I would love to see it. Leave a link in the comments so I can check it out! 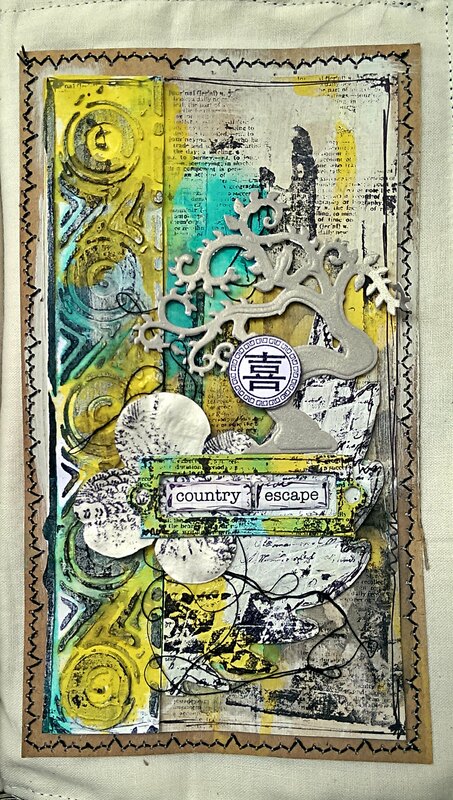 I am over at PaperArtsy today, sharing a fabric book that I made for our book theme. 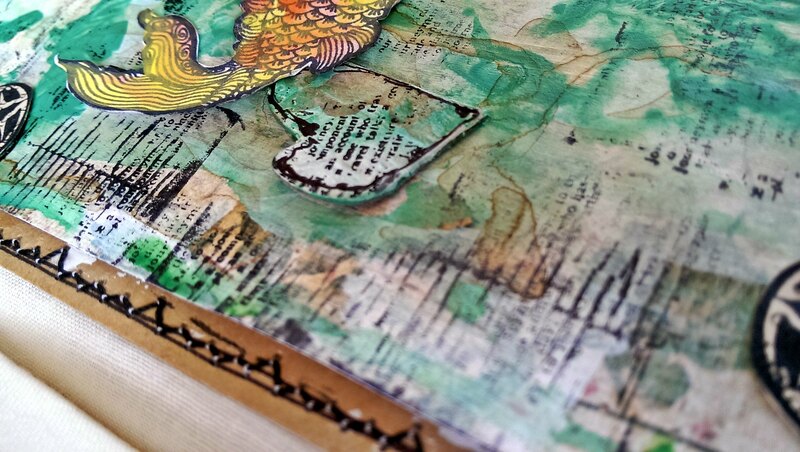 Above is a sneak peek of the outside of the book. 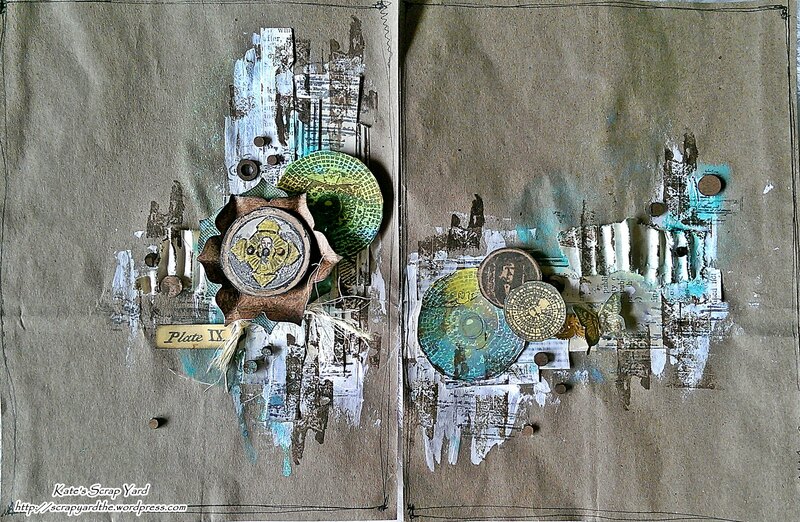 You can also see a inside page layout that I will not be sharing here on my blog. It has all sorts of fun details so go take a look. 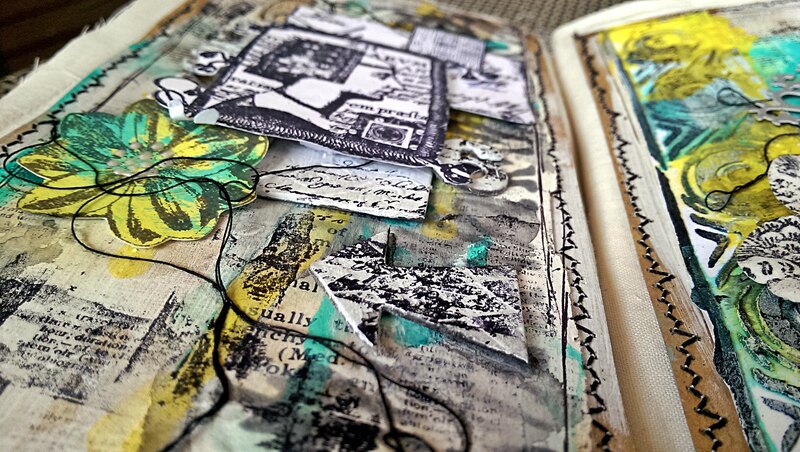 Here is one of the layouts from the inside of my fabric book/journal. 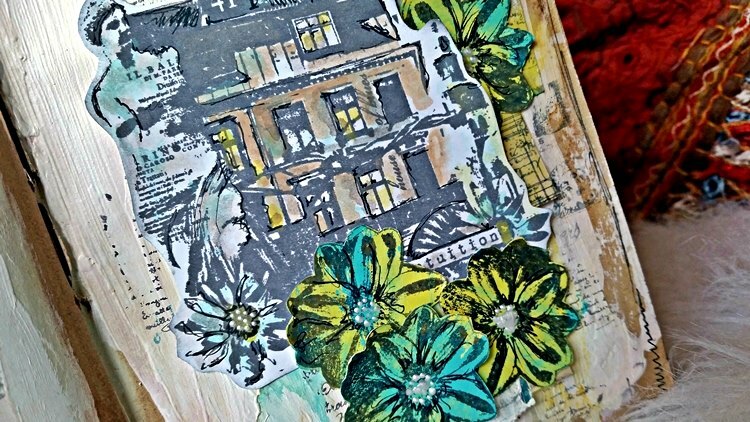 The entire book was made using Lynne Perrella Stamps and Seth Apter Paints. 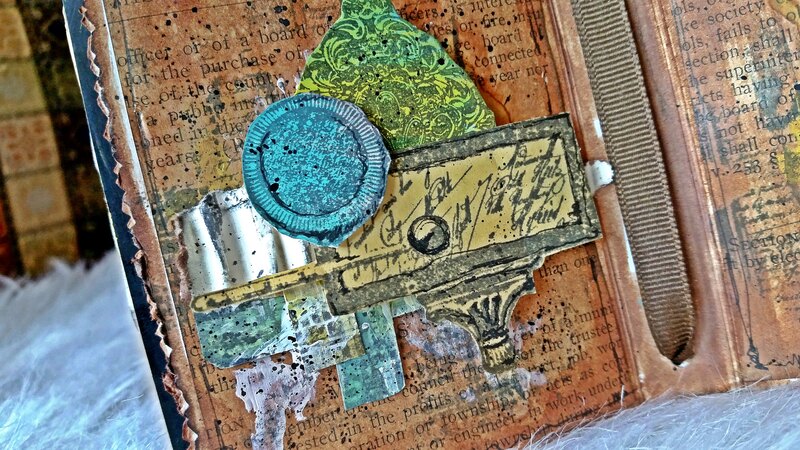 I kept all the stamps white and used color and texture in the background to make the stamps the focal point. 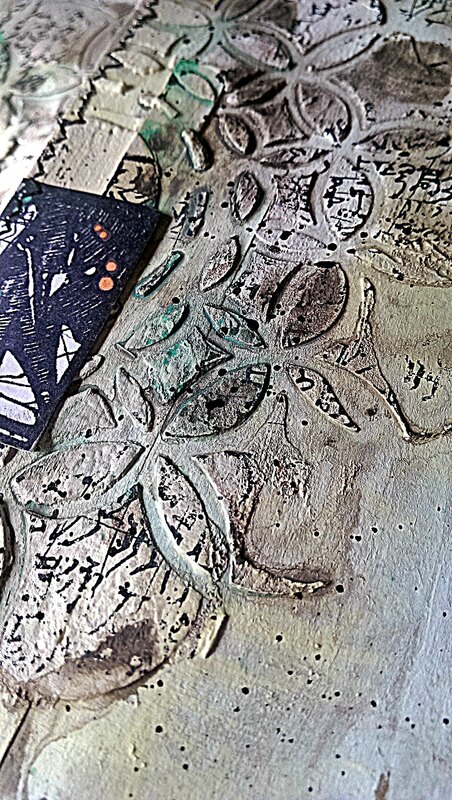 My background is kraft paper covered in gesso, paints and stamping. 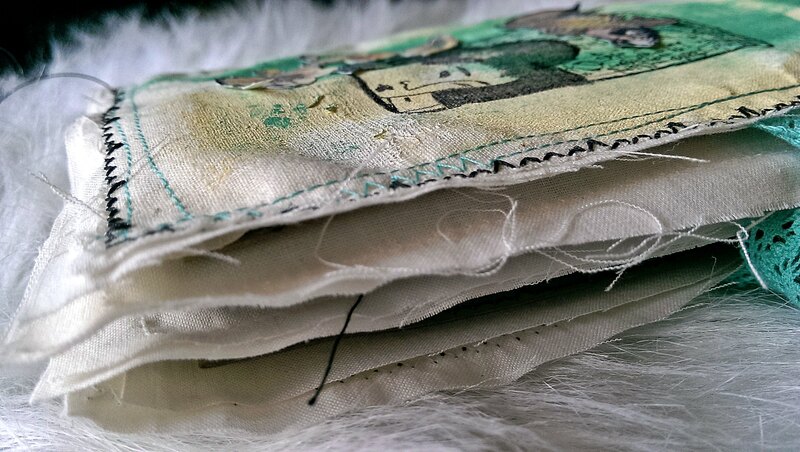 I stitched around the edges to attach the pages to my fabric base. And that is it. I am keeping it pretty simple today. 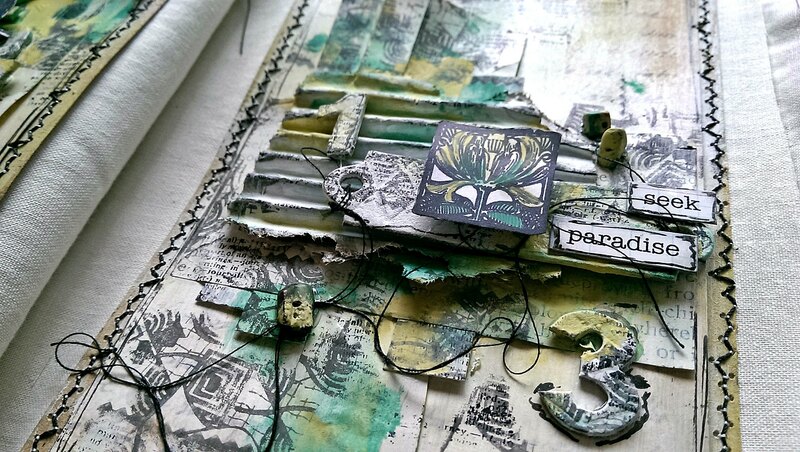 Don’t forget to stop by the PaperArtsy Blog to see my Fabric book and a layout. I can’t think of much to talk about that goes along with the title of this post, so I thought I would talk about some of the books that I have been reading or am going to read. Back in February I started reading along with the yearly challenge at our local library. Read 75 books by the end of the year and you get entered to win a $175 gift card to Amazon. We buy everything on Amazon so I thought that was a great incentive. So, here are my recent reads. Reading has nothing to do with this journal layout but here it is. 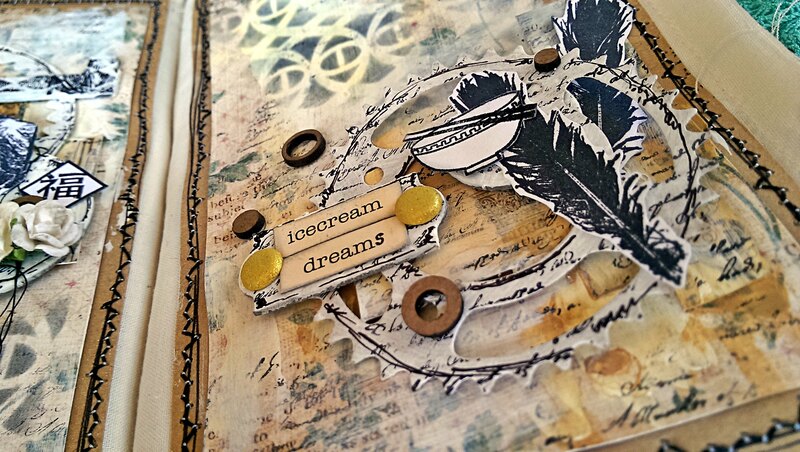 I am having so much fun using my new Seth Apter stamps from PaperArtsy! My pages were made using a brown grocery bag. 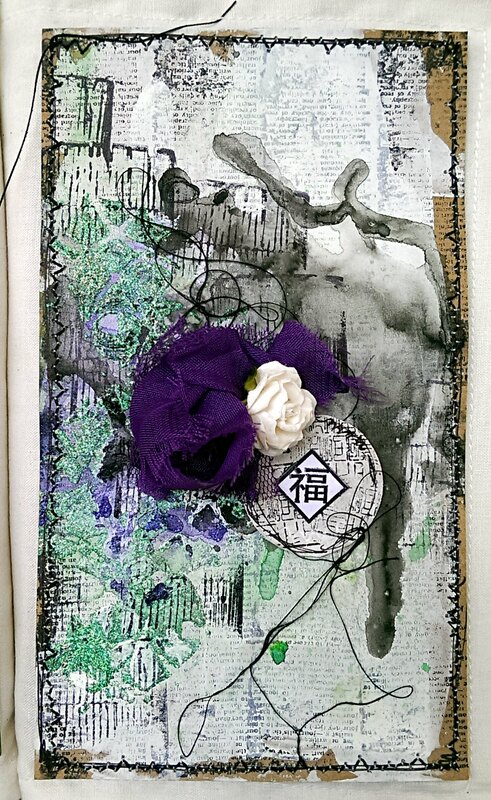 Of course I used paper scraps, gesso and paint for the background. 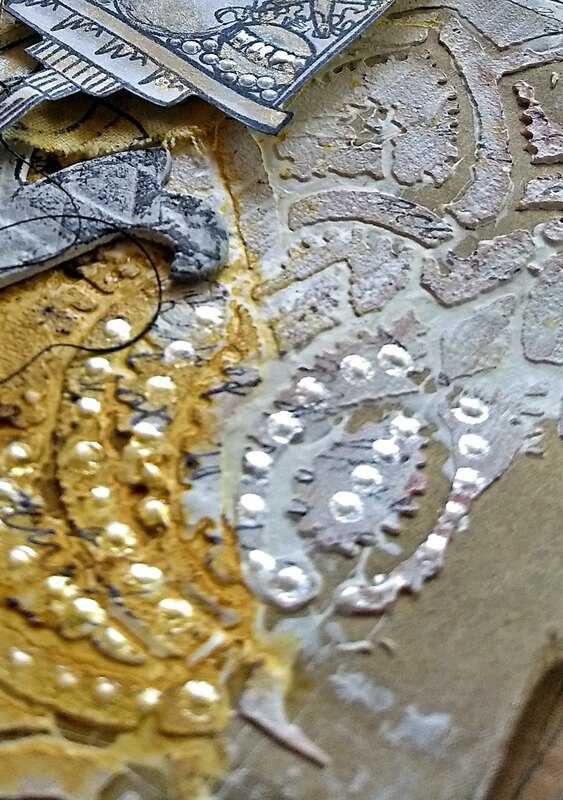 To embellish, I used a few stamps from 7 Gypsies and chipboard circles. 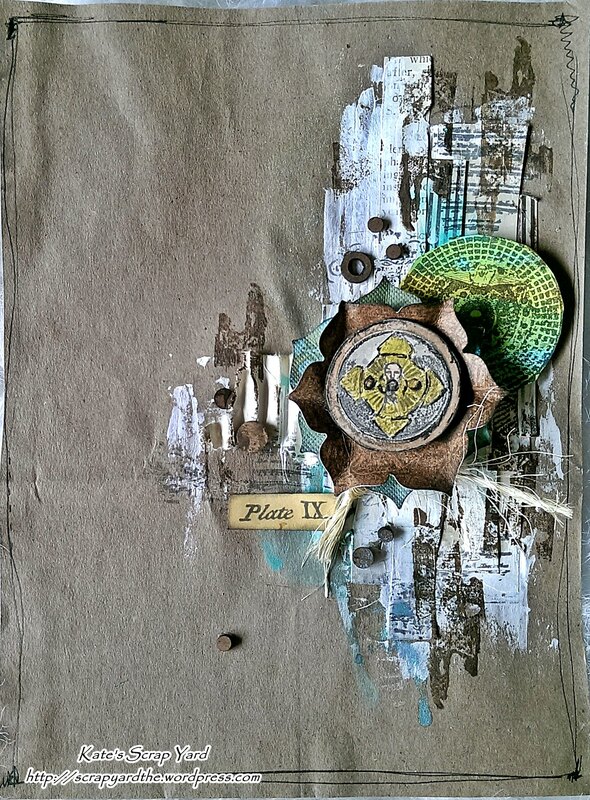 This layout will go perfectly in my new steampunk art journal. Memories…something that we never forget, as least, I hope that is the case. I have so many wonderful things that I want to remember. I wish our memories were like flash backs in the movies- vivid color, crisp images and and the ability to quote a conversation word for word. I for one can remember none of these things. But I recall the feelings and emotions associated with a certain event and that in itself is enough. Wouldn’t it be amazing if we all had books filled with our favorite experiences and memories, playing back the event as seen through our eyes? I really want someone to invent that! 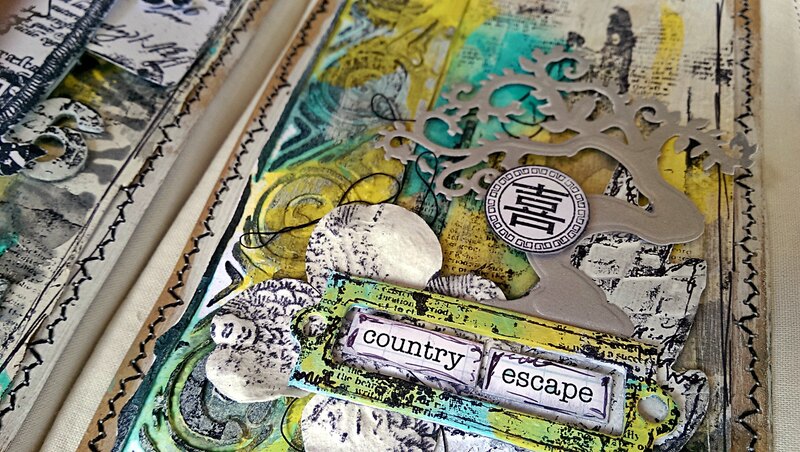 Instead, you will have to settle for this mini book I made using some new stamps that I LOVE! 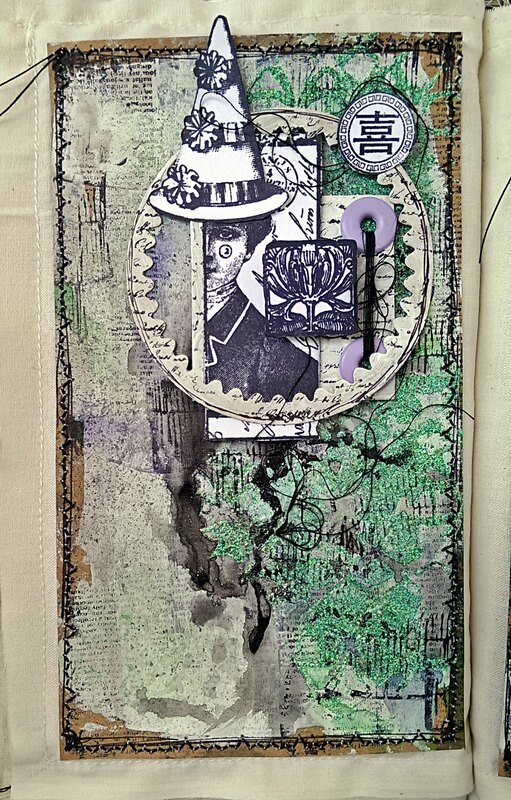 As I mentioned above, these stamps are newly released by Seth Apter for PaperArtsy. They are so amazing! I feel as though I cannot say this enough. 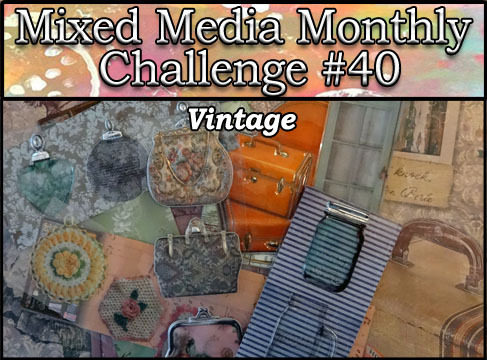 They are full of detail and are the perfect blend of grunge and vintage. 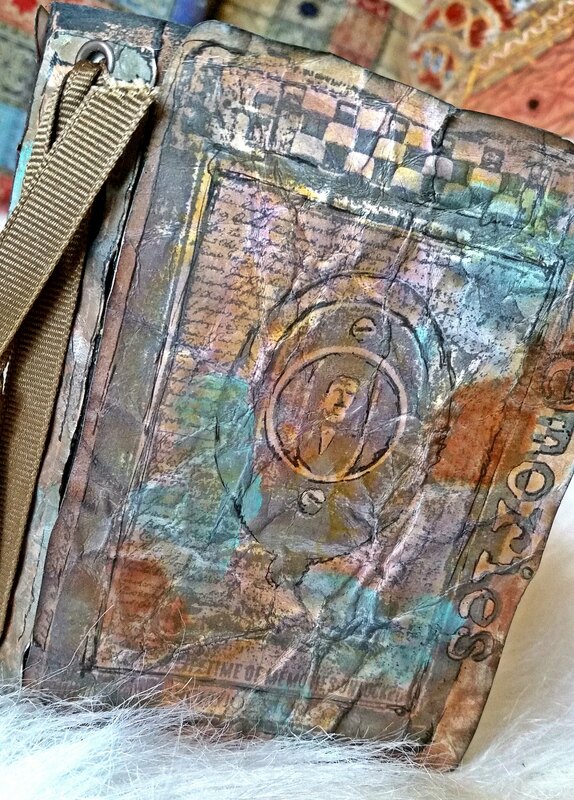 For the Cover, I stamped one of the main images, aged it, colored it and used chipboard to create a cover. 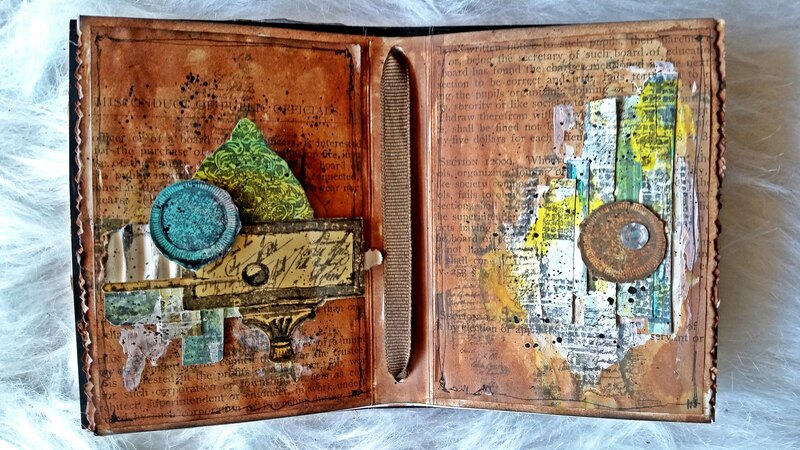 The inside pages were made using white card stock and covered with old book pages. 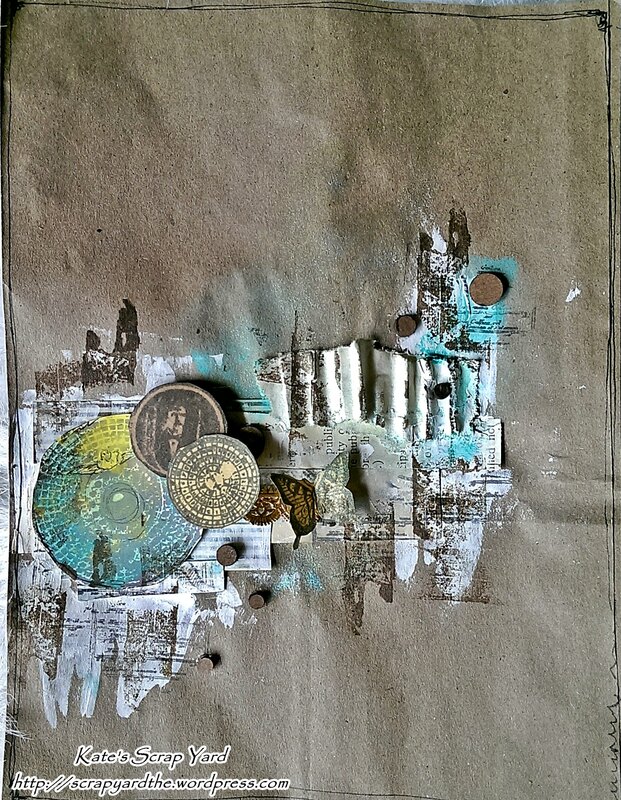 I stained everything using Distress Stains to create an aged page. 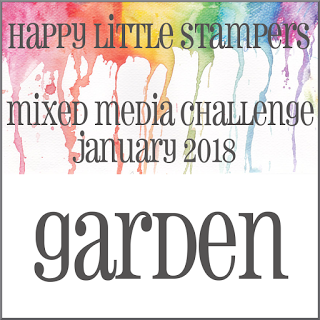 All the stamped images and background stamps are from Seth’s new sets. 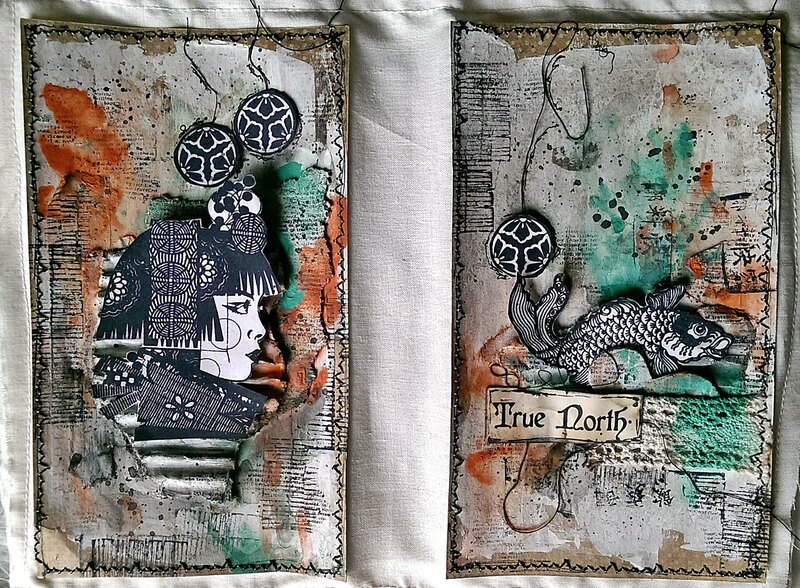 You can see my release project for Seth new stamps HERE. 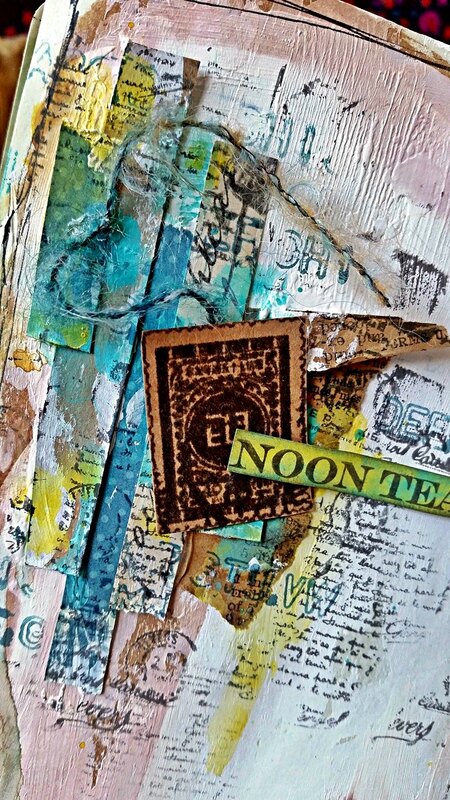 Also, I just completed a art journal centered around my all-time favorite drink, TEA! It is called Splashes of Tea.